SLR cameras take good stock photos. Learning how to take a stock photo correctly can help you earn money for your efforts. Stock photo websites look for particular types of photos that are professional quality. If you understand what a photo editor wants, then you can make a living doing what you love. Professional looking photos that appear on stock photo websites, such as Dreamstime and iStock may sell hundreds of times, while others in a similar genre may not sell a single time. What is the difference between the photos? Often it is the quality. In order to snap a high-resolution photo you'll need several things, including an eye for taking great photographs. One way to learn how to take a stock photo is by studying it. Pick up a magazine that has photographs of the genre you're interested in. Examine the photographs featured in the magazine and note which types are used frequently. A lot can be learned from studying advertisements and the photos in them as well. Check out the photographs that are being used on your favorite websites and also take notice of the ads that are found on these pages. Most of the photos you'll find on the Internet were purchased from stock photography companies.Once you've studied photos that you admire, it is time to start taking them. Set up your shots using a photographer's eye. The photos should have uncluttered backgrounds and the focus should be clearly centered on the subject. While software can fix a multitude of errors, it can't fix everything. Experiment with different lighting and filters to see what works best. The style of photography you employ will determine what types of subjects you'll use. Many people start with taking still life photos, such as a vase, or a collection of vegetables and fruit on a cutting board. Most of the items needed for these photos can easily be found around the house or at a local retail store.If you want to take photos of buildings or people, there is yet one more consideration - model releases. Whenever you take a photo of a person, they will need to obtain a model release form before it can be sold through a stock photography company. The same thing is true of buildings, in most cases. A photo of a beach house may be beautiful at sunset. However, unless you get permission from the house's owner you may not sell the shot. The owner may not want pictures of his house splashed across a magazine or book cover because of the interest it may attract. Taking photos of wildlife can be done in many public parks and wildlife preserves. Be sure to ask permission before going onto private property. As for sports photography, most games are open to the public. However, if you want to get close up, you may need a press pass to gain access to the field. After you've taken your photographs, you'll need to save them in a preferred format for the stock photo companies. JPEG and TIFF are the most popular formats. The photos should be 48MB in size with an 8-bit depth. The photos should also be oriented in the upright position before uploading them. Don't do any unnecessary photo editing before uploading a photo to a stock website. This is especially true in regards to editing the focus. Individuals who buy your photos will choose whether or not to sharpen them. 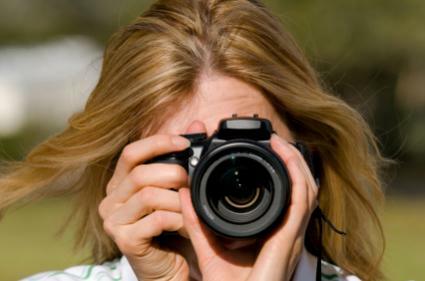 Be sure that your photos don't have any obvious errors, such as dust or hair on them. Photo editors will reject these, even if the composition of the photo is excellent. Most stock photography companies already have enough photos of wild animals, flowers and pets, so be sure that your photos are truly unique if you wish to submit images in these categories. Remember, each stock photography company has different rules and regulations, which should be read and understood. By following these guidelines, you'll increase the odds that your photos will be chosen by the editors and sell quickly on stock photography websites.